What does it mean when a keyword is "Not Found"? 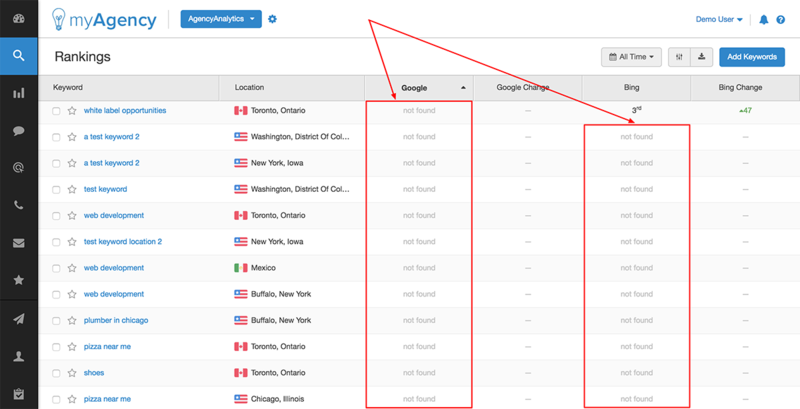 Simply put, rankings labeled as "not found" mean your URL was not found in the top 100 SERPs. Often, customers assume that "not found" indicates that an error occurred or that they did something wrong when setting up their account. "Not Found" actually just indicates that the site wasn't found in the top 100 rankings for that keyword/location pairing. If you believe that the "not found" indicator is incorrect for any of your keywords, please review these troubleshooting steps.